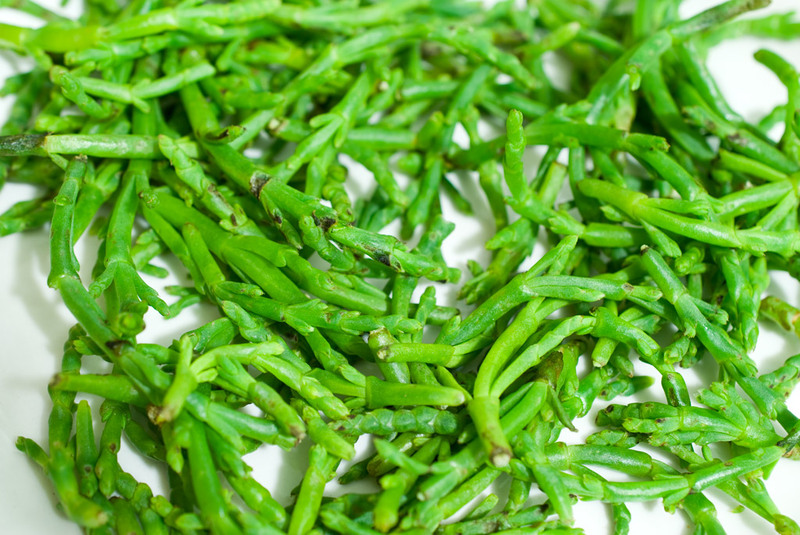 Sea beans, aka glasswort, aka marsh samphire, is an ingredient I’d long heard of but hadn’t had an opportunity to use. I was recently walking through the Chelsea Market and stopped by the Manhattan Fruit Exchange, where they always have a nice selection of unusual fresh produce. I spotted sea beans for sale and grabbed a large handful of them. One of the cashiers asked me what they tasted like, and I had to tell her I didn’t know. They turned out to be far more interesting raw than cooked; they were like green beans but with a little sea water taste, as if the beans were already seasoned. When cooked they blended into the flavors of everything else and lost their unique edge. I’ve heard they make excellent pickles, I’ll have to try that next time. Four Years and 1000 Posts!